Special Offer for The Illusionists! The Illusionists world tour started in January 2012 and comes to Sheffield City Hall on Sunday 6 October, 2013. 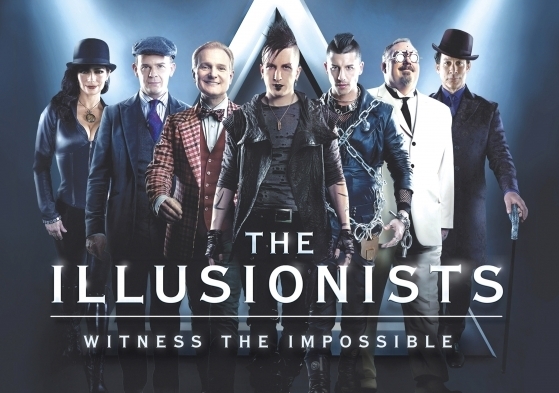 To quote the promotional blurb: “Showcasing jaw dropping acts of grand illusion, levitation, mind-reading, disappearance and for the first time ever in history, a full view water torture escape, The Illusionists: Witness The Impossible is a magic show like none other ever seen before. I’m pleased to say that our readers can obtain a 35% discount off any ticket price for this show by using the promo code magic35 when booking online, over the phone or in person. Click here for further information and booking details.